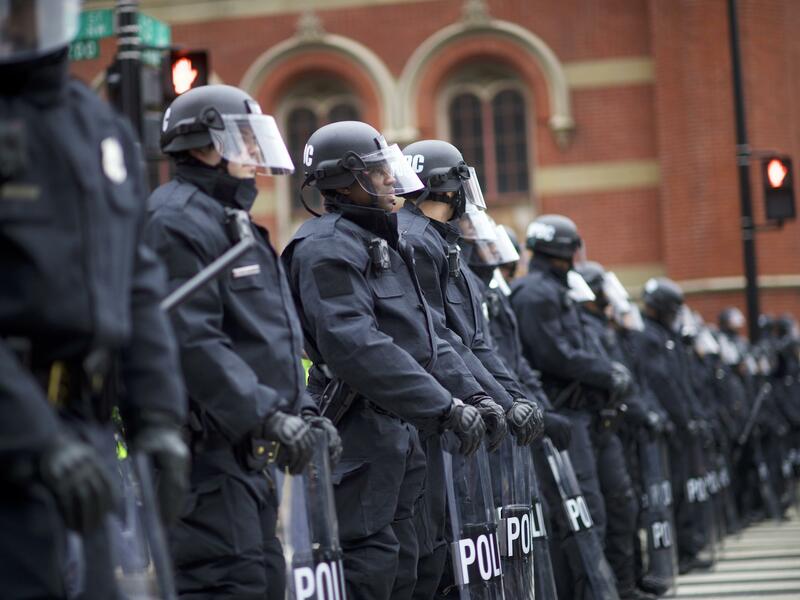 Can the presence of more black police officers reduce police violence? The unrest in Ferguson, Mo., following the death of Michael Brown in summer 2015 drew renewed scrutiny to police violence and revealed just how little the public knew about its pervasiveness. At first, there were widespread calls to address what officers looked like since Brown was African-American and the officer who shot him is white. The dominant theory was that if police departments better reflected the racial makeup of the communities they served, incidents of police violence would decrease. Maybe, the thinking was, another result would be less friction between officers and the public. This rationale seemed intuitive, and Ferguson offered fertile ground for testing the theory. In 2015, two in three residents in the city of 21,000 were black, but only three officers in the 53-member force were. This disparity appeared as a tangible underlying factor that may have contributed to Brown's death. In the years since, a somewhat clearer picture about who is killed in police encounters has emerged thanks to reporting by the Washington Post, The Guardian, and Mapping Police Violence project. Today, data overwhelmingly confirm that black people are involved in and are victims of police-involved killings at greater proportions than any other racial group in the country. But even as more research explores the role of race in police violence, the findings have been inconclusive and sometimes contradictory. A new study that will be published in the next edition of the Public Administration Review will complicate that body of research even more. "What we find is evidence that [having] more black police officers probably doesn't offer a direct solution to this problem," Sean Nicholson-Crotty, a political scientist at Indiana University and one of the study's authors, said. Indeed, the researchers concluded that as the ratio of black officers in police departments rose — up to a certain threshold — so did the number of fatal encounters between officers and black residents. "Any small group will sometimes be the strongest proponents of [the larger organization's] norms and values, and people will sometimes see that as the mechanism to be seen as legitimate," Nicholson-Crotty said. The tipping point appears to be 25 percent. So, why would adding black officers to the ranks drive up the number of fatal incidents? One reason, Nicholson-Crotty said, is that black officers might be tougher on black citizens because they are especially invested in stopping crime in black neighborhoods. But he also said that in institutions where someone belongs to a distinct minority, they are often more likely to adhere to the cultures of the organization to prove they belong. Nicholson-Crotty said that despite the study's findings, there are other reasons that a police department may want to increase the number of black officers on the force. But the findings raised an unsettling question: might a city like Ferguson, in attempting to diversify its police force, actually unintentionally foster conditions that lead to more violent interactions between black people and the police? That question gained steam after events in Ferguson in part because of lack of data. "We have bad numbers on policing, but you can get somewhat decent numbers on [local] demographics," Phillip Atiba Goff, director of the Center for Policing Equity at John Jay College in New York, said. But Goff also said the logic behind that correlation isn't interrogated enough. "I think the assumption is that racism can't exist in black people, and so if we have more black police, we're just going to have different results." The work of quantifying the racial gradients that may impact police violence will likely keep researches like Nicholson-Crotty breaking down numbers for many years to come.